Mask. 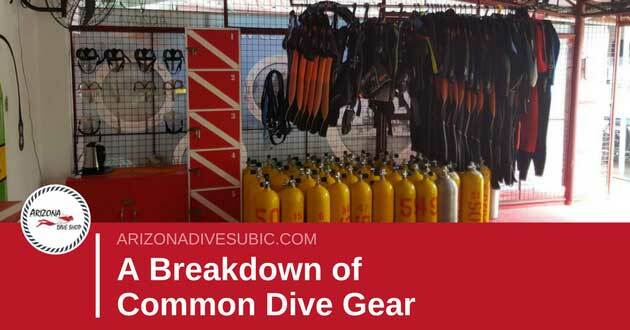 If you can only buy one piece of diving gear, this is it. A dive mask is what you need to see clearly underwater. Sightseeing, after all, is the main point of diving. It needs to fit you well, and it should have the features you need or want. For example, if you wear glasses then make sure your mask can fit prescription lenses. Snorkel. This thing lets you breathe while you take a peek under water, until you’re ready to dive. You’ll want to buy your own, for hygienic purposes. Fins. The fins for your feet will help you move about in the water much more efficiently. Open heel adjustable fins are great for colder water, while tropical divers tend to go for full-foot fins that slip on like shoes. Dive computer. Beginners tend to forget just about everything they know when they dive for the first few times. That increases the chance of decompression sickness. But a dive computer calculates and provides the real-time dive info for you, so that you don’t have to bother with using the dive tables, a dive watch, and the depth gauge yourself. Suits. Wetsuits and dry suits are called exposure protection gear. That’s because they protect you not just from the cold of the water or the wind, but also from being cut or stung while you dive. With wetsuits, you get wet while you dive, but with dry suits you create a seal at your wrists and neck so you’re dry inside. That’s great in very cool surface temperature and also if the wind is strong. You’ll want to buy your own suits, because in all likelihood other people have peed in rental suits. BCD. The buoyancy control device gives you the control you need under water. With the BCD, you can stand on the bottom of the sea floor or float easily to the surface. This is what helps you float underwater as you take in the beautiful sights. These things are bulky, though, so you may want to think about just renting it instead of bringing one on your travels. Regulators. The scuba regulator gives you the air you need from the tank so you can breathe while diving. Weights. These are usually included when you pay for diving privileges. With the weights, you can go and stay all marine life underwater. Tanks. These are also included with your diving package. If you plan on scuba diving on your own, you’ll need to rent one or buy one. Other accessories. You may want to bring underwater lights, video or photographic equipment, whistles that will enable you to get found sooner when you surface, and dive knives for all kinds of emergencies. Wherever you go diving, it’s highly likely that you’ll be able to find everything you need at a dive shop. The pros there can even tell you what you need. But it’s always a good idea to know what you need, and sometimes it’s better if you own some diving gear instead of just renting them. Are You Ready to Book Your Next Scuba Diving Holiday in Subic Bay? 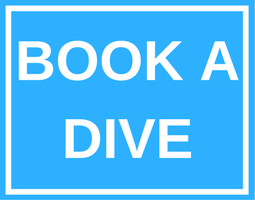 If you're ready to choose your scuba diving adventure in the Philippines, then click here to get started, we look forward to hosting you.